I read your book " The Winning Theory in Stock Market" thank you for such a book that explains many things in simple terms with few pages. One thing I noticed in book and the recent recommendations from the blog is you have an excellent entry strategy but at least for a beginner like me is not able to deduce the exit strategy. Could you please teach me the criteria for holding a stock beyond it's 15% profit target, or say how to identify a stock is multibagger or not. - Predicted target price - 20% + of base price or predicted target price(TP = (NSP+Book value+Base Price)/3 ) takes precedence under what circumstance. * NSP is Net sell per share in one year. Here is my reply and I publish this reply on this blog for help of other readers which have similer doubts about my theory. 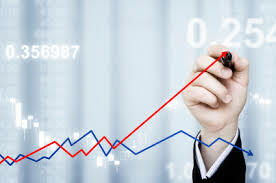 If stock price up with volumes and market conditions are favorable for your stock. One other great point to remember If stock price cross his net sell per share per year and traded 20% above base price then it is wise to book profits. Overall no any sure rule for exit it all depend on greed and your experience in share market. redicted target price(TP = (NSPY+Book value+Base Price)/3 ) is best but Personally I not follow this after my holding of one year if my profit is above 15 % I book my profit because I rotate my money and book profits are always protectat us from downfalls. "Calculate the net revenue per year of stock as I described earlier in this book , if your stock price is lower from this than your stock valuation is good and if CMP is higher from it than stock is traded at a higher valuation."